Poland is one of the most promising and growing computer games industry partners in the world. We cordially invite you to Poland Day, an annual networking event aimed at enhancing business cooperation between Polish and U.S.-based technology companies in Silicon Valley. The event will take place on March 25, 2013, in San Francisco, California. 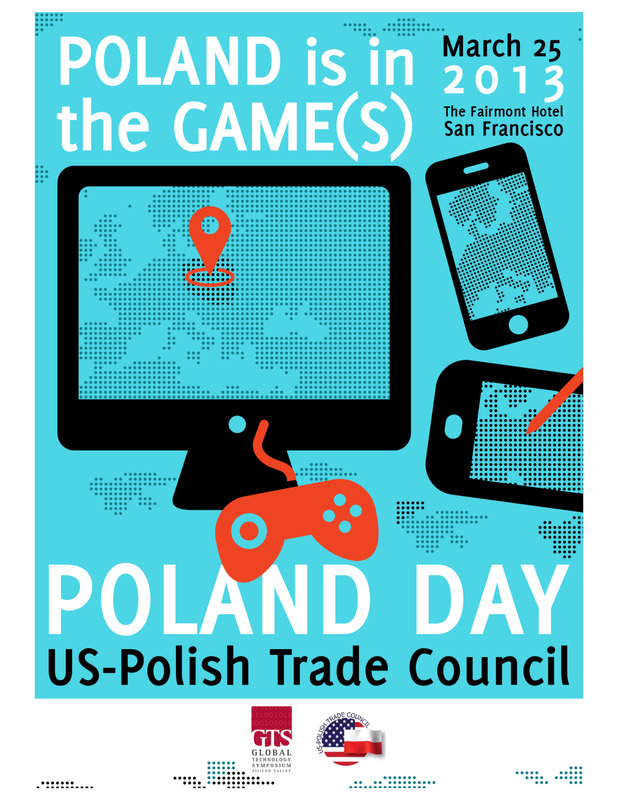 Poland Day is organized by the US-Polish Trade Council (USPTC). As always, the program for this year’s Poland Day will reflect the most current trends and opportunities. Our opening session will be devoted to ideas and new technologies associated with the computer games industry. We will close with a financial session focusing on investment in start-ups. This year’s Poland Day will be held in conjunction with a major international conference, the 2013 Global Technology Symposium (GTS). We sincerely hope you will join us!